Don’t assess a condo just by square footage; light is also important. Evaluate the space during daylight, preferably when it’s overcast. Making a successful transition to condominium living takes knowledge and preparation. 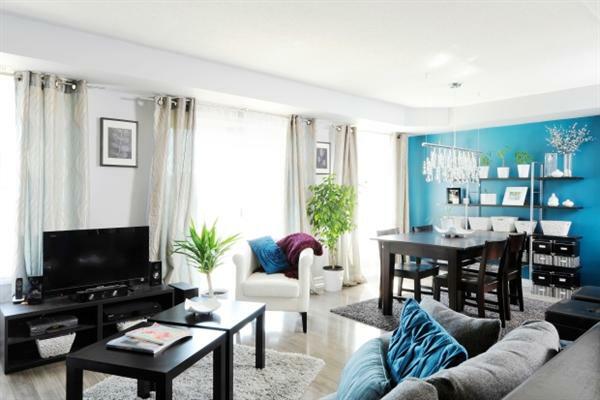 The local condo market, once a less-than-desirable option for Ottawa living, has now taken a dramatic upswing in popularity. Predictable floor plans, communal facilities and less-than-adequate parking have given way to new levels of sophistication regardless of price range. Builders are incorporating interesting architectural details, sleek lap pools, rooftop terraces and better parking options. Condo Scene will introduce you to some of the most interesting and unique elements of the city’s developments and will navigate you through the countless options available, including the quirky and fun. The clever use of space and design and the world of high-tech gadgetry will be investigated as we take a look at the many ways the best developers are making the most of condo living. The other day I visited a unit in what I call a “soft” condo building; the kind of place that doesn’t scream highrise, does not blot out the sun nor does it place undue strain on the neighbourhood dynamics. In fact, I passed the building three times before finding it. I entered the unit and was totally unprepared for what I was about to see — a glorious view of downtown Ottawa, treed vistas, perfect light conditions and space and volume. What a delight and what a surprise. The ceilings were 12 to 14 feet high and I felt as if I were in a sophisticated New York apartment. 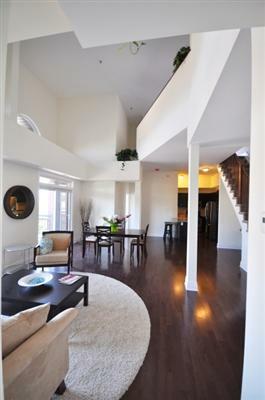 Kudos to the builder, Domicile, for being forward-thinking and designing such a magnificent space. The owners had easily transitioned from a four-acre property and never felt compromised by having downsized to this 2,900-square-foot condo. Obviously, they were enjoying more space that the average condo owner, but they had achieved this extra living space by cleverly combining two units. The result was a master suite that was generously sized and one of the best-designed ensuite bathrooms I have seen. When looking at condos it’s important to recognize that space and volume are not interchangeable. They are two parts of an equation that determines the perception of size, while light is also always a factor. Volume is achieved by ceiling height; space is square footage. Large spaces appear smaller when the ceilings are low or when light conditions are poor. Smaller spaces seem larger and more livable when the volume is increased and when exterior (and, to a lesser extent, interior) light is optimized. This equation is the solution to the cabin fever that is often experienced by those who downsize. The lesson is simple: Don’t go simply by square footage when assessing a potential condominium. Evaluate the space during daylight, preferably when the weather is rainy or overcast. If the space appears to have potential but seems a bit confining, look for opportunities to increase the volume by raising ceiling heights (often possible in newer condos) and/or adding or increasing the size (especially the height) of the windows. Regardless of selling price, smart buyers — especially those buying off plans — will make these adjustments prior to moving in. The owner of a new, smaller two-level condo I visited recently found another way to increase the volume. The location was central but the space was somewhat confining so he replaced one wall of the interior stairway with glass and immediately the space seemed much bigger. He then took a second look at the large, well-oriented balconies and, after consulting with the condo corporation, decided to replace the solid railing panels with shatterproof glass. That brought the surrounding views into the interior space, resulting in the perception of a much larger condo. For those who are more ambitious and devoted to getting exactly what they want in a living space, it’s often possible to reorganize a condo by removing walls and using translucent dividers. But if you are considering drastic changes, it will be necessary to view the space with an architect or contractor who is well-versed in condominium reconstruction. Love those spectacular condos featured in Architectural Digest? With a little vision and planning you can achieve the same effects. Just use condo sense. Marilyn Wilson has been selling real estate for more than 23 years and owns Marilyn Wilson Dream Properties Inc. Brokerage, an exclusive affiliate of Christie’s International Real Estate. She can be reached through dreamproperties.com.